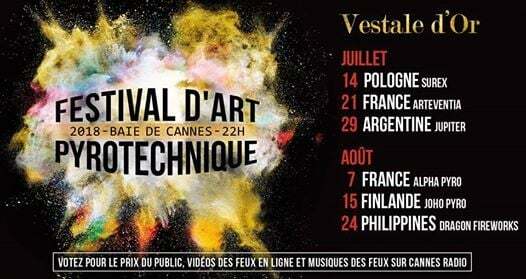 Festival d'Art Pyrotechnique set for a bang tonight in Cannes! 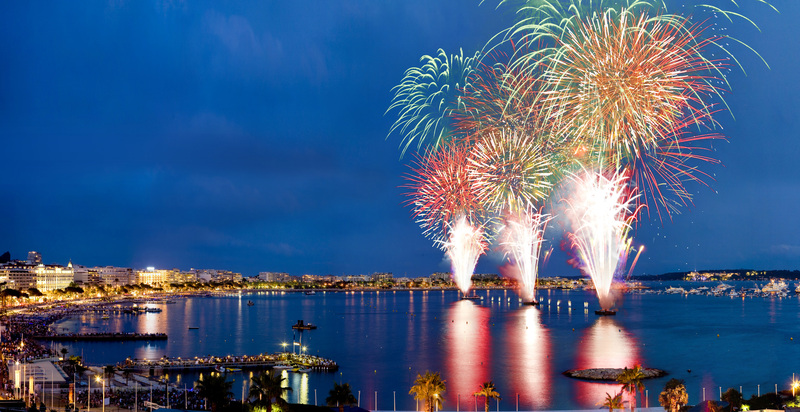 Tonight there will be a spectacular firework extravaganza in the Bay of Cannes, as the France national team competes in the Festival d’Art Pyrotechnique! Six international pyrotechnic companies are competing in this year’s Festival d’Art Pyrotechnique, the French Riviera’s annual fireworks competition! France are being represented by two teams, who this year compete against Poland, Argentina, Finland and the Philippines! The event is a huge crowd pleaser and brings spectators to the bay of Cannes each year. The audience participates by voting who they believe should be crowned Champion after all companies have performed. 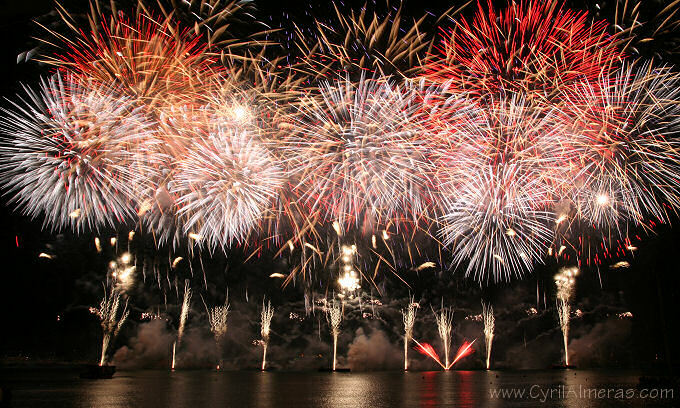 We expect the sky to be scattered with dazzling colours, with numerous rockets being launched bringing light to the sky! Why not take the whole family down to enjoy the fun? The event begins at 10PM! 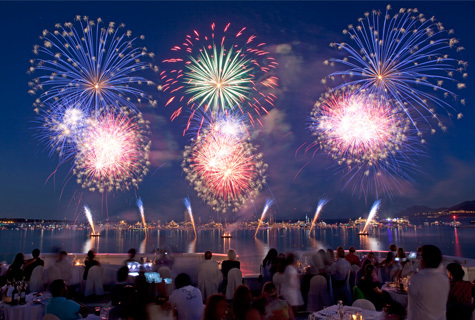 Next Post The biggest beach festival of the year Les Plages Électroniques comes to Cannes this weekend!